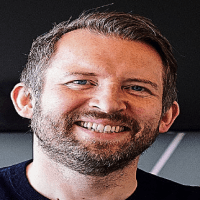 Today’s guest is Joe Trodden, a mindset expert from Edinburgh, Scotland who is assisting entrepreneur across the world to plough through the mind-blocks holding them back. He is the founder of Mindset experts. As he says “If you are an entrepreneur who has got past the start up phase then good work, that’s a tough furrow to plough. You’ve now got some stability, an operational team and maybe one or two senior staff involved. But if you’ve got ambition you will have realised that the next chapter is different. You probably feel that you’re still working just as hard but your growth has slowed down. You know that something has to change. As they always say “If you win the inner game, you win the outer game” so how does he do it? How does he help you up-level your income, or increase your prospects in the future. Well he helps by getting you onto two relevant frameworks. One to develop your business strategy and one to develop your entrepreneurial mindset expertise. These route-maps allow you to see where you are on your journey, and show you the steps you are still to take. So how did he get to this point of awareness? Was it his own stumbles or falls, or just an inbuilt talent of overcoming mindset obstacles? And where can we start today, if we have just one chance to move to the next level and change our mindset forever? Well let’s find out as we bring onto the show to start joining up dots with the one and only mindset expert Joe Trodden. We share why the age of thirty seems to be such a landmark age for so many people. The time in their life when the light bulb switches on and possibilities reveal themselves. Joe shares how so many people come to him with a fix it job, where actually the answers are already within them they just lack the clarity. Why there can be a huge advantage to being aware of your peer group from an early age and acting accordingly. Joe talks openly about our innate super talents and focusing in on your strengths as much as possible. Find the excitement in your life and you never work again.